When you’re ready to move, selling your home isn’t your only option. Renting out your current home lets you relocate while using your former home as an extra source of income. Which option is the right one for you? Start by finding a real estate agent near Atlanta who can help you understand the market and how property management works. As you weigh up your options, here are a few factors to keep in mind. If you know that you’re only going to be moving away for a few years, renting out your house can save you time and money in the long run. You’ll earn rent on the property and avoid the hassle of trying to find a new home when you return to the area. 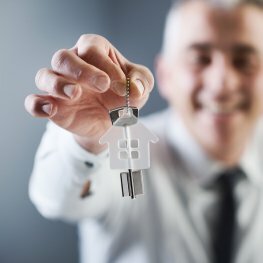 However, if you’re moving away for good or relocating in the same town, selling your home could give you a large lump sum immediately to invest in a new property. As a landlord, you’re responsible for repairs and maintenance on the property, so these costs should be factored in when you’re considering how much you can make in rent. You are also responsible for everything from screening tenants to adhering to local rental laws. A rental property management company can handle many of these responsibilities on your behalf, but for some people, simply selling the property and moving on is more appealing than taking on the role of landlord. If your real estate agent has told you that your appliances need to be updated or repairs need to be made to make your home competitive on the market, then renting the property could be a good solution. Renters are more likely to accept outdated appliances and minor flaws since they are not making a long-term commitment to the property. A property rental company can help you set a realistic rent rate for your property’s condition. If you’re still interested in selling, ask a real estate agent to help you weigh up the cost of modernizing and making repairs.